Have you ever dreamed what it would be like to be a pro? 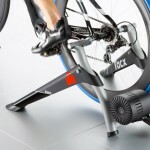 Have training facilities at your disposal and, even better, have no cars to worry about? 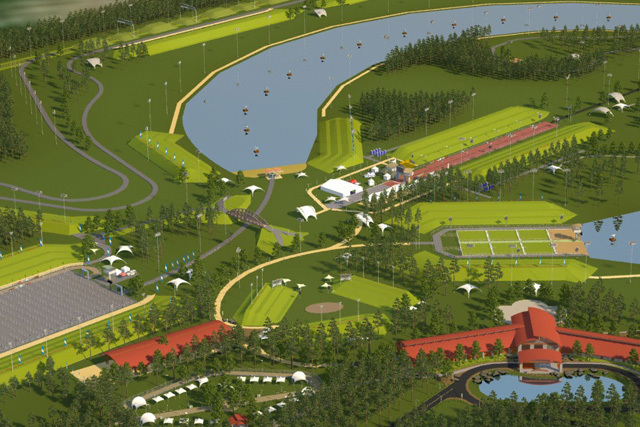 TriHabitat is the world’s first and only self-contained endurance sports’ racing and training venue. 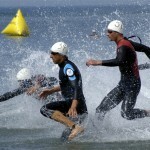 If you are serious about triathlons, you’ve been on training camps, weekends or weeks. And TriHabitat might just be the place for you. It’s a one stop true triathlon dedicated facility where everything you want is at your fingertips. The swim course is a horseshoe shaped crystal clear lake with a total length of 1100 meters (0.68mi) and they plan to have a lifeguard every 50 meters (that’s going to be costly!). On the 22.5k (14mi) bike course you will find an aid station half way through and apparently some 3 meter high moguls, to which appear to be an optional thing. Upside is that the bike course can double for a half marathon race course. Which brings me to the asphalt covered run course which is 10.5 kilometers (6.5mi) in length and runs by the river. The TriHabitat facilities will have dedicated training options, permanent, crystal clear fresh water lake for open water swimming, the car free 14 miles (22.5Kilometer) bike course and a 6.5 mile (10.5 k) run course. Completed with a permanent top of the line transition area, so everything you want at your disposal for an amazing training holiday. TriHabitat is the child of Bill Scott and Booker Poul who have a vast background in organising triathlon races and want to take away the hassle of every race director: organising everything. With dedicated courses organising a race is really easy and I’d expect more than a few races to take place there every year, maybe they can even stage a 70.3 race! While it’s currently looking for 30 million in capital funding, the goal is to have everything up and running by 2016.